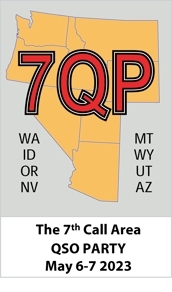 K7MCS is the Maricopa County (Arizona) Sheriff's Communications Posse. We're volunteers who do communications for the Sheriff's Office. We're trying to develop our skills on HF in case we're called out to a location that's beyond cellular phone and amateur repeater coverage. We didn't make a lot of contacts, but we had a blast setting up antennas and getting accustomed to the IC-706 in the communications van (when all else fails, do a Hard Reset). Next year we will have a better score! Shown here: The Posse Communications Van set up in the corner of the parking lot next to a big Saguaro cactus. A shade structure set up far away from the noisy generator. In the background is a multiband inverted vee. What the shade structure looks like with a high wind blowing across it. Note significant clouds have rolled in since picture #2 (above) was taken.